Secretary of the Army Eric Fanning signs a tri-signed poster in support of the Army Survivor Advisory Working Group’s inaugural charter while at the Association of the U.S. Army Annual Meeting and Exhibition in Washington, D.C., Oct. 5, 2016. When Amy Moore saw her husband’s commanding general and a chaplain getting out of a vehicle parked in front of her home, she expected the worst. The deaths of her husband, Col. James Moore, and six other 4th Infantry Division Soldiers as a result of a helicopter crash in central Texas hit the residents of Fort Hood especially hard. 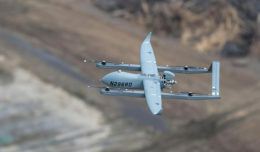 Just months earlier, the division had returned from a dangerous deployment to Iraq, and the worries of deadly missions had waned. Surviving family members, including Moore and her two children, leaned on casualty assistance officers and friends to guide them through the paperwork and the grieving process. 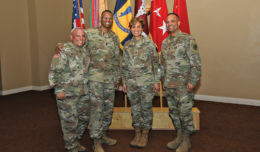 Today, Moore and several others have dedicated themselves to assisting other survivors as part of the Army Survivor Advisory Working Group, known as SAWG. 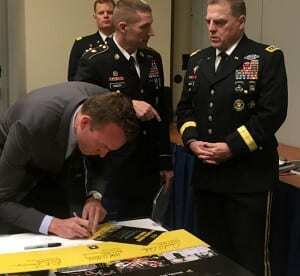 Established in 2007, the working group had its inaugural charter signed Oct. 5 by Army Secretary Eric Fanning, making it a more formalized organization. With the new charter, surviving family members can apply to become advisors for the working group under a new application process. Among their duties, advisors discuss matters during biannual meetings with Milley and other Army leaders. The group already includes a cross-section of members, among them members who have who lost loved ones to combat, cancer, terrorism and apparent suicide. “We’re offering something different through our loss,” she said. Under the charter, advisors will serve two-year terms, which means the group will regularly need new members to fill open slots and help lead the group’s efforts. One of those efforts — surviving Soldier stabilization — was made official Army policy in March. The policy grants a Soldier who has experienced the loss of a spouse the option to remain at his or her current installation for at least a year, with a possible extension of up to two years. The policy is intended to provide Soldiers with time to handle personal affairs in the aftermath of such a loss. Since its inception, more than 40 people have taken advantage of the policy. Sgt. Maj. of the Army Daniel Dailey, far left, Army Secretary Eric Fanning, center left, and Army Chief of Staff Gen. Mark Milley, far right, pose for a photograph with members of the Army Survivor Advisory Working Group at the Association of the U.S. Army Annual Meeting and Exhibition in Washington, D.C., Oct. 5, 2016. Group members are also working on a legislative proposal to create a new category for bereavement leave, which would allow commanders to give 14 days of non-chargeable leave to any active-duty member who suffers the loss of a spouse or child. The proposal cleared legal review in August and continues to move forward. Members of the working group also remain active at local Survivor Outreach Services offices and share their stories during training sessions for casualty assistance officers. These officers have close contact with surviving family members, helping them navigate legal documents, sign up for services at installations, and apply for benefits from the Department of Veterans Affairs. “It’s critical that they have a good relationship with the surviving family,” Moore said. For that reason, the working group pushed for an initiative to extend their two-day training sessions to a third day. “Hopefully they won’t be called to [help survivors], but they will be prepared for it,” she said. 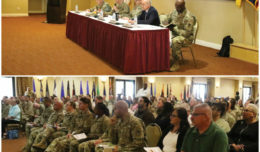 The working group plans to meet again in the spring at Fort Myer, Virginia, to further discuss survivor issues with Milley and other Army officials.